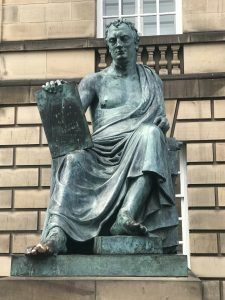 The British Society for Eighteenth-Century Studies is delighted to host the ISECS International Congress on the Enlightenment at the University of Edinburgh on 14–19 July 2019 with the theme ‘Enlightenment Identities’. Edinburgh is the ideal location for a congress on the Enlightenment. The ancient yet elegant capital of Scotland is home to a world-class university. 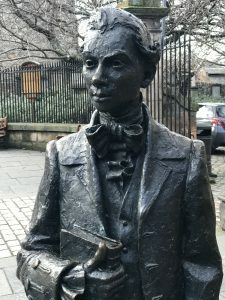 In the eighteenth century, Edinburgh was the centre of the intellectual movement known as the ‘Scottish Enlightenment’ and home to major literary and philosophical figures including Elizabeth Hamilton, David Hume, Adam Smith, Adam Ferguson, James Boswell, and Sir Walter Scott. Well-known for the picturesque Old Town, dominated by Edinburgh’s imposing castle, much of the life of the city now takes place in the New Town, constructed in the late eighteenth-century as an exercise in enlightened town planning. From its intellectual heritage to its very fabric, Edinburgh is very much an Enlightenment city. Today, Edinburgh is a vibrant and well-connected modern city offering all the facilities one would expect from a centre of law, medicine, business, and learning. The first UNESCO City of Literature, and famous for the annual festival that takes place in August, Edinburgh is very well-provided with accommodation options and has better transport links than is usual in cities of comparable size, including a high-speed rail service to London and a major international airport. 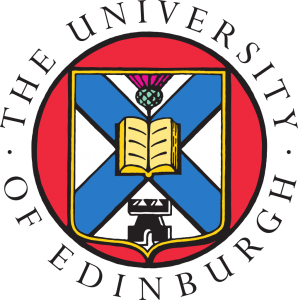 The University of Edinburgh, which will host the Congress, is one of the ancient universities of Scotland and maintains an enviable academic reputation. It is currently ranked in the top five UK universities, and within the top 20 worldwide, and it continues to produce world-class research and education more than 400 years after it first opened. The University is located in the centre of the city’s Old Town, but boasts a wide range of modern facilities and accommodation options. The university is also close to some stunning visitor locations including Edinburgh Castle, the Royal Mile, the National Library of Scotland, and the National Museum of Scotland with its Grand Gallery—which we have booked for a suitably grand reception. Tatiana Artemyeva (Herzen State University of Russia/ St Petersburg Centre for History of Ideas); Sébastien Charles (Université du Québec à Trois-Rivières, Canada); Deirdre Coleman (The University of Melbourne, Australia); Penelope J. Corfield (Royal Holloway, University of London; University of Newcastle-UK); Sutapa Dutta (Gargi College, University of Delhi, India); Dena Goodman (University of Michigan); Toshio Kusamitsu (University of the Air, Japan); Antoine Lilti (École des Hautes Études en Sciences Sociales – EHESS, Paris); Thomas Munck (University of Glasgow); Anthony Pagden (University of California, Los Angeles); Kate Retford (Birkbeck College, London University); Silvia Sebastiani (École des Hautes Etudes en Sciences Sociales (EHESS), Paris); Maria-Susana Seguin (Université de Montpellier III; Institut d’Histoire des Représentations et des Idées dans les Modernités, Universite de Lyon (IHRIM-ENS) et Institut Universitaire de France); Maria das Graças de Souza (University of São Paolo). More information about the plenary speakers. 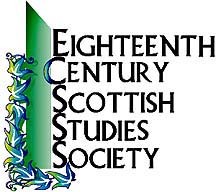 The purpose of the International Society for Eighteenth-Century Studies (ISECS) is to promote the growth, development and co-ordination of studies and research relating to the eighteenth century in all aspects of its cultural heritage (historical, philosophical, ideological, religious, linguistic, literary, scientific, artistic, juridical) in all countries, without exception. The Society is non-profit-making and non-political. Find out more about ISECS. We look forward to welcoming you to Edinburgh in 2019! The Executive Committee of the British Society for Eighteenth-Century Studies.